Thanks to the 362 users who responded and answered one or more polls in that list. I recently stumbled upon a systematic technique for making a decision with a group of people. Systemisches Konsensieren in German, it was presented to me by a German doctor of mathematics at an Agile conference. The idea is that everyone involved in the decision rates all the options available with a level of Resistance. That is, how much they don't want to take that option. Apparently rating using this negative technique like this avoids problems that exist with rating positively. I thought it might be an interesting technique to use for deciding what game to choose on game night, not least because I've found on game night that people often veto games rather than make positive choices for them. The previous geeklist tests that, using all of us to rate various options based on other measures on BGG of popular game choices. So, for each option, users rated their Resistance from Zero (no objections to this option) through to Ten (completely against this option). The first poll asked people to rate the BGG Top Ten Ranked games. So quite a small range of results, and the most selected option was Zero, i.e. "no objections to playing". Not surprising given that we are all gamers. The next poll had the same games but with an option that the presenter gave us. A "Zero Option". This is something that is a choice against all the other options. In this case "not playing any of these". So "not playing anything" was by far the least favourite option. Interestingly having this extra 'negative' option in the poll had a side result of reducing the resistance against most of the other options, probably because of the great contrast between the zero option and the others. The next poll was with the Top Twelve of the Boardgames League, the games that are winning the ongoing popularity/quality contest to see how they do on a negative vote. Interesting results! Tzolkin goes from 9th to 1st, while Agricola drops from 1st/2nd to 5th. Power Grid holds its position. Castles moves from 10th to 4th. These positive moves I would guess are being driven by people who haven't played these games and want to try them. 4. GeekList: [POLLS] Le Tour de Geek 2013, Stage 15: Want to Play? Again we see Tzolkin move up and top the table, though only 1 place. 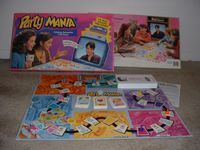 The Thematic games generally move down, perhaps due to slightly higher resistance to high theme games. So here we finally find some games that have a higher than 5.0 resistance and in two cases more resistance than the Zero Option! We really don't like Munchkin (but so many of us own it). So most of us would rather play a light game than nothing at all. So, what happens if we combine the results of all those polls? Which of the 55 options have the most and least Resistance? How will Abstracts fair? The Zero Option = Play none of these. 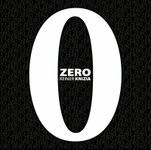 Remember, Zero = Good. Ten = Bad. If you got that wrong, click Questions and try again! 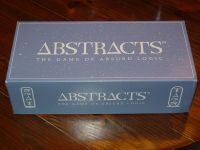 And how about the red-headed stepchild of BGG, Party Games? This is selecting the highest rated/most well known party games on BGG, excluding games already covered.